April_FS_TropicalBreezeTo accompany the Fiesta Burger, we recommend our Featured Shake, the delicious and luxurious Tropical Breeze. This flavor-packed, icy goodness is a combination of thick strawberry ice cream, sweet pineapple juice and orange syrup. The result? An instant trip to the tropics, where there is no care in the world, and the beach is right at your toes. Don’t forget, our newest exciting location is opening at the Kapolei Village Shopping Center. And that means we’re hiring! Actually, all of our locations are accepting new hires, so feel free to stop by your neighborhood Teddy’s and become a part of our burger-loving family. 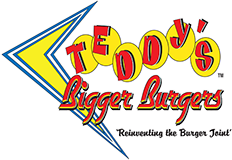 For franchise opportunities, offers are prepetuous, so please visit our website for more information at http://www.teddysbiggerburgers.com/.